Wrongful Death From Medical Malpractice: Which Law Controls? A wrongful death action in Florida is a somewhat straightforward process, with either the executor or the deceased’s closest surviving relative filing the appropriate suit, depending on the nature of the person’s passing. However, Florida is home to a fairly powerful medical lobby, which means that in many areas of state jurisprudence, the rules are different if your loved one died from alleged medical malpractice. In many cases of death via medical negligence, the normal rules of a wrongful death or survival action may not apply. It can be critical to understand the differences between a standard wrongful death claim and a medical malpractice claim. In most cases where a death can plausibly be attributed to someone else’s negligence, suit can be filed either by the representative of the deceased’s estate (called a ‘wrongful death action’), or by the deceased’s surviving relatives (called a ‘survival action’). Only one may be mounted, not both – depending on the nature of the person’s death, one type may be more beneficial than the other in terms of both compensation and closure. For example, if someone is killed in a two-car automobile accident, it may make more sense to bring a survival action rather than a wrongful death claim – in such a case, a survival action could seek damages based on personal injury and negligence law. 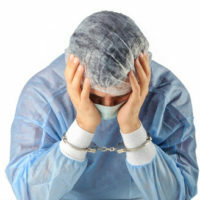 The statute of limitations for both wrongful death and medical malpractice claims is two years in the state of Florida, meaning that the action must be filed within two years of the alleged wrongful death (or alleged malpractice), or the date on which the alleged wrongful act should have been known. If wrongful death occurs due to someone’s non-medical negligence, also, there is no cap on non-economic damages (in other words, intangible damages, such as pain and suffering or loss of consortium). However, medical malpractice cases cap non-economic damages at $500,000, which is in reality less generous than it seems. The major difference between a standard wrongful death claim and a medical malpractice claim is that Florida law strictly limits those who qualify as ‘survivors’ of the deceased, ostensibly to limit bogus wrongful death claims, but in reality it merely renders many people unable to seek compensation for the death of their family member. Siblings, common-law partners and many other categories of close friend or family member have no recovery rights under Florida’s current law if they lose someone to medical negligence. Another significant difference to be aware of is the steps one must take before being permitted to file suit. One must submit a medical report from a qualified expert in order to corroborate their assertions that negligence has taken place – which is far more complex than it sounds. Many verified experts are reluctant to grant such affidavits because they essentially must do so against colleagues. If an expert fears torpedoing his or her relationship with colleagues in their specialization, they may decline to provide the affidavit, regardless of the validity of the plaintiff’s case. Losing someone is a cruel blow regardless of how it happens, but if medical negligence plays a role, it is absolutely critical to understand what you may be able to recover for that loss and what you will likely never get back. The Winter Park wrongful death attorneys at the Hornsby Law Group can sit down with you and help you understand this complex area of the law. Call us today to set up an initial appointment.